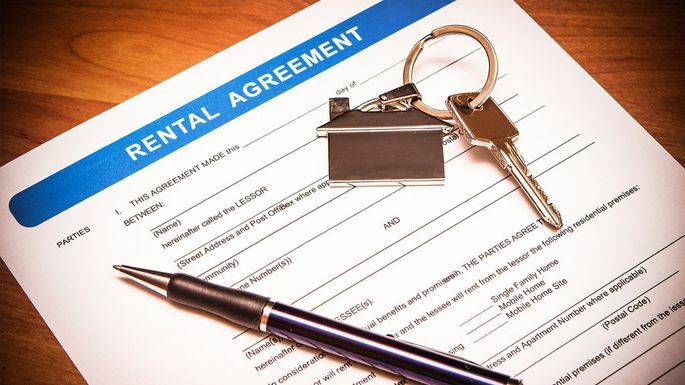 “How can I get approved to rent with no rental history?” This is a common chicken-and-egg conundrum for first-time renters, since landlords are often wary of opening their doors to tenants with no record of paying rent. So if you’re young and/or have never rented your own place before, how are you supposed to convince a landlord that you’re a solid bet? Never fear—overcoming this hurdle is entirely within your grasp, provided you do a little prep work first. “It can be challenging to find a place to rent with no rental history, but it’s not impossible,” says Denise Shur, a Realtor® with 1:1 Realty in San Jose, CA. Just follow the steps below on getting a rental with no rental history under your belt. Basically, landlords want to see that you have money to pay your rent and will do so in a timely manner. So before you start cold-calling landlords or perusing rental listings, make sure to gather some evidence that makes a convincing case on your behalf. The main thing you need? A stable income, which suggests you have the cash to funnel toward rent. “Normally, if you go talk with a real estate agent or property manager, they will be able to look at your work history and finances and help you get approved to get into a rental,” says Lana Lavenbarg, a Realtor® with Re/Max Ideal Brokers in Grants Pass, OR. In addition to proving you have money coming in to pay your monthly rent, there are other things that can strengthen your case. A copy of your last three years of income tax returns, proving your income history. A copy of your three latest pay stubs, proving your current income. A recent copy of your credit reports (these can be obtained online from Annual Credit Report, the one site authorized by the government to provide one credit report a year to Americans free of charge). A recent copy of your bank statements, including savings and retirement accounts to show that you are financially stable. A letter explaining why you have no rental history and describing your plans for the next one to five years. A list of personal references that can vouch that you’re responsible and won’t become a headache for your landlord or the other tenants. If you have a parent or other person who can co-sign a lease and guarantee rent, bring it up (or better yet, bring the individual along). If you used to pay rent to a family member, even if it’s a small amount, that’s a good thing to share. Shur suggests asking the family member to write a letter that you can present to the landlord. If you don’t have pets and don’t plan to have any during the time you’re renting, make that clear early on. Finally, if you have the ability to swing three months’ rent in advance, make the offer. It will show a landlord you’re financially stable and able to take on a monthly rent.